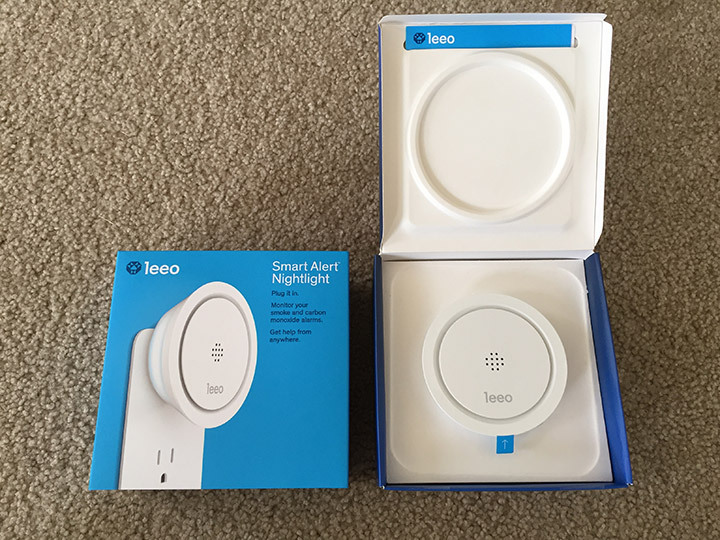 Disclaimer: The folks at Leeo very kindly provided a Smart Alert Nightlight for this review. As always, the opinions are my own. Everyone wants to keep their family safe. From security gadgets to smart alarms, home safety is one of the fastest growing segments of the smart home marketplace. 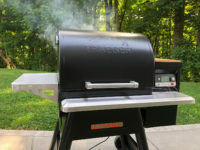 Like us, you may be considering some different options for upgrading your smoke/co alarm set up. As I’ve researched the options for our new place, I’ve long gravitated to the Nest Protect smoke and co alarm since we love our Nest Thermostat so much. However, it’s become apparent in recent months that the Protect is a v1.0 product that is potentially deeply flawed; just check out this recent clip by a Protect owner experiencing hilariously maddening false alarms. I might roll the dice on the Protect if we needed just a few of them, but TN codes will require our new place to have 8-9 smoke alarms; I’m terrified of investing $900 in the Protect line at this point, so I recently began my search for other products. That’s when I stumbled across the Leeo Smart Alert Nightlight, which approaches smart home safety in a completely different fashion. After putting it through the paces, I can tell you that it’s definitely worth a look. The Leeo Smart Alert Nightlight is a WiFi smart device that’s trained to listen for the frequency of your home’s smoke and carbon monoxide alarms. Rather than replacing multiple alarms around your home with an expensive new product, the Leeo operates beside your existing system to send you alerts whenever your alarms go off while you’re away. 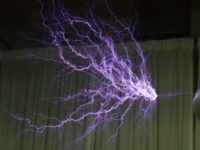 It also senses temperature and humidity, and includes a high-end nightlight that can display millions of colors. 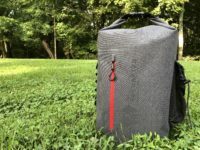 Does the Leeo perform as advertised? Read on to find out. I didn’t expect to like the look of the Leeo as much as I do. What looks like a typical, utilitarian sensor on the box is pleasantly nondescript during the day and elegantly attractive at night. 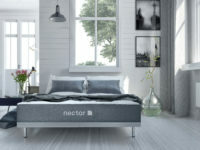 In a product that does so much, you might consider the nightlight as an afterthought, but I think you’ll discover that it’s a pleasant surprise. It casts a beautiful halo of light on the wall with an effect mirroring a solar eclipse. It can accurately reproduce almost any shade of the rainbow in varying shade of brightness. One word of advice… Never show your kids the colors; it will quickly be snatched away to a bedroom, requiring the purchase of additional (expensive, in this case) nightlights. The companion app is sparse, but clean and functional. It seems really stable, and hasn’t crashed on me once (a quality that’s admirable compared to some other products I’ve tested). You’re probably reading this review for the smart features, so let’s get to the meat and potatoes. Setup is a breeze, and took me about three minutes. Simply plug the Leeo in, pair it to the companion app on your iPhone, connect it to your Wifi, and you’re up and running. 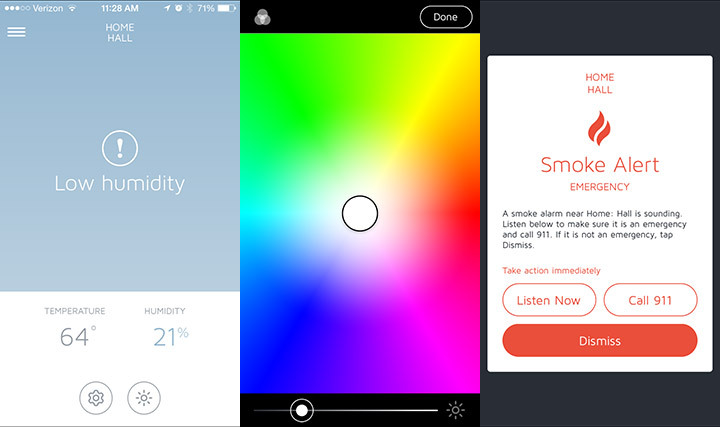 The final step requires you to test your smoke/CO alarms while the Leeo listens; I activated mine for 5-10 seconds (driving my 2-year-old son CRAZY), and after thinking about it for an additional 10-20 seconds, the Leeo app notified me that it was now set up to listen for my smoke alarm. After that, the Leeo is kind of a “set it and forget it” style of device. It sits silently on my wall listening for alarms, keeping an eye on the temp/humidity in our house, and lighting the way with technicolor when the sun goes down. To test it’s core functionality, I decided to wait a few days and set off my smoke alarm randomly in the morning. After about 8 seconds of alarm chirping, I received an alert from Leeo on my iPhone 6 letting me know that an alarm was going off. I swiped it, taking me right in the app where a 5 second audio clip of the sound was available, along with a one-tap option to call 911. Better still, my phone rang about 20 seconds later (I supplied my number during the set up process) with a robo-call alerting me of the same incident, including the audio clip. Leeo can optionally also contact several other contacts of your choosing if you don’t respond after a short period. The audio clip is surprisingly helpful, as it allows you to verify that the Leeo is hearing an actual alarm, and not a TV clip or kids toy. I tested the Leeo a few more times with the same setup, and it worked like a charm every time; it’s a great little safety gadget. The Leeo hasn’t been on the market for long at the time of this review, which results in a platform that appears to be in its infancy (from an integration standpoint at least). There’s no Wink, Nest, or IFTTT integration to speak of, which is a bummer if you use those services to control the rest of your smart home. I’d love to have the data from its temperature/humidity sensors in my Wink app, for instance. Hopefully this will improve down the line as it has with other startup products. Another important note: Leeo only works with iOS devices at this time, through an Android app is in development. The Leeo is a beautiful product that’s definitely engineered with care. The rotation mechanism that controls the nightlight’s brightness (a very cool feature, by the way) is smooth and responsive, as is the light produced by the LED array. Although the alarm-sensing microphone seems extremely accurate, I can’t say the same thing about the other sensors at this point. The humidity sensor seems to be accurate enough (it slowly adjusted to report the same data as other sensors in our home), but the temperature sensor is way off for some reason; it consistently reports temps as almost 10 degrees lower than they actually are, which is certainly odd. It’s not a big deal in practice (I view that data as kind of a bonus feature), and it can probably be fixed with a firmware update, but it’s worth noting here. The Leeo is available now for $99, which is a lot of money if you’re just buying a fancy nightlight. However, you won’t buy the Leeo for that… You’ll buy it for the safety net of receiving an immediate notification that something is going wrong while you’re away. You’ll also probably only need one (if your detectors are wired to sound together across the house). That’s a smart safety upgrade for MUCH less than a new device in every bedroom. 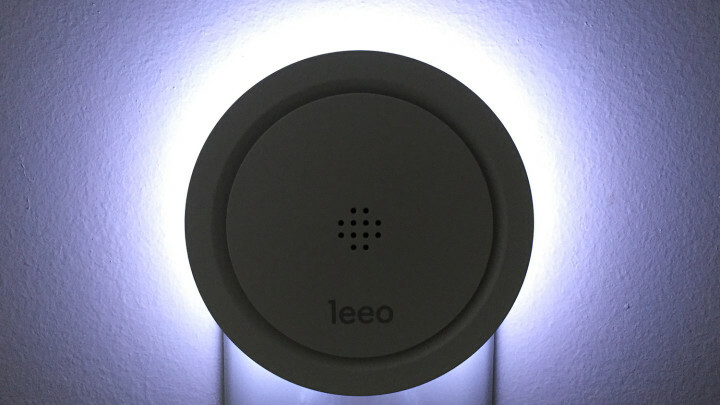 I really like the Leeo, and think it’s a great addition to most smart home set ups. If you’re looking to enhance the capabilities of your current alarms without a costly upgrade to every unit, the Leeo Smart Alert Nightlight is a fantastic little product. If you're looking to enhance the capabilities of your current alarms without a costly upgrade to every unit, the Leeo is a fantastic little product. 1. Is the nightlight motion sensitive? For example, off until someone is walking in the hallway, then light up? 2. Would the temp variance be that a thermostat is typically 6′ from the floor while this plugged in an outlet is lower, near 12″ from floor where air is cooler? 1) Nope, not motion sensitive, but it does have an ambient light sensor so it only illuminates in the dark. 2) Nope. My Canary is about a foot away from this thing and the temperature swing is still there (though not as crazy as the first week I spent with it). Glad you’re digging the blog, Aaron! Since writing this, I’m pretty sure I’m just going to go with a conventional network of smoke detectors (which all talk to each other) and the Leeo to alert me when I’m gone. It’s a lot less money invested, for almost the same functionality, even when compared to the Kidde detectors.